If you and your spouse have tried therapy with no positive results, maybe it’s time to try something different. If you live in Washington DC, Imago relationship therapy might be the therapy style that will get you the results you’re looking for. Washington DC Imago Therapy has been very successful in helping couples understand some of the most puzzling aspects of their marriages. Dr. Harville Hendrix and his wife, Helen LaKelly Hunt, developed Imago following the publication of their bestselling books,Keeping the Love You Find (for singles, 1982), and Getting the Love You Want (for couples, 1988). Both were couples therapists when they met following their own divorces. Together, they wondered why they were unable to save their own marriages. 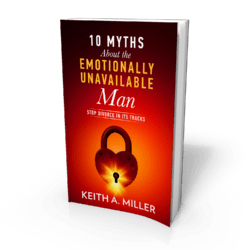 The ten years they spent studying couples provided answers that challenged many long-standing assumptions and practices in the field of marriage counseling. Keith Miller and Associates offers Washington DC Imago Therapy. Finding Love…and Keeping It: Falling in love gives us that wonderful feeling of being alive, whole, and happy. It makes us act in ways we don’t normally, but this magical feeling is not supposed to last. Romance fades and the “hidden agenda” in relationships can then emerge. Keeping love depends not on finding the right partner, but on becoming the right partner. If we are willing, we can learn the skills needed to have a successful relationship. Conflict is Not the Enemy: Washington DC Imago therapy can provide you with the blueprint you need for mutual growth and healing. When we listen to the messages embedded within our conflicts, it teaches us about our deepest unmet needs and how to be fulfilled and happy. The Way to the Heart is Through the Brain: Our brains are wired to help protect us from anything that might be perceived as a threat to our survival. People end up hurting their partners when they are just trying to protect themselves. Our natural fight/flight/freeze responses occur in how we talk and act. It takes a high level of awareness and the practice of specific skills to identify and eliminate unsafe communication in a relationship and develop habits that cultivate love and affection. Washington DC Imago therapy can teach you these habits. 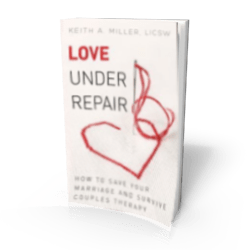 A New Way of Talking: This unique therapy makes it possible to express your frustrations with your partner while remaining connected in a loving way. Our Image of Love: Washington DC Imago therapy can help us access are unconscious thoughts that lead us to desire a specific kind of person who we most expect to love and be there for us. Our imago is formed without our awareness in childhood. It strongly influences our choice of a lifetime mate and contributes to the expectations we have of our partner. By learning more about our own Imago and our partner’s, we can grow to become more compassionate towards one another. Couplehood is Curative: Marriage is the one kind of committed relationship that can most closely resemble the parameters of our relationship with our parents and early caregivers. As such, couplehood has the amazing potential to replay scenes from our youth. If we are conscious that this is happening, we can work with our partner to find new and healthier ways of meeting each other’s needs. We become partners in each other’s growth and healing, and recognize how we are capable of providing what our partner needs to help him/her finish growing up. Our marriages and committed relationships can be a place of deep healing and a transforming, spiritual experience – Washington DC Imago Therapy. 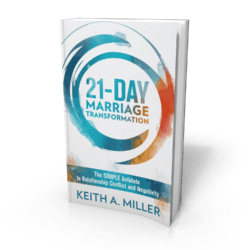 Keith Miller offers simple tips on how to improve your relationship right now.